The inability of local authorities to demonstrate a five-YEAR housing land supply, plus 20 per cent buffer, and its impact on the outcome of planning appeals has been highlighted by the Campaign to Protect Rural England (CPRE). The largely anti-development organisation suggests steep targets for the amount of land councils must allocate for housing under the NPPF have opened the door to major housing developments in the countryside. CPRE’s Targeting the countryside research paper studied the appeal decisions on more than 300 applications for major housing developments (of more than 10 units) on greenfield sites between March 2012 and May 2014, with 60 in the South East. The research found that planning inspectors overturned the decisions of local councils in 72 per cent of cases where there was no defined land supply, The result was that 27,000 houses were granted planning permission in this way – this is approximately eight and a half per cent of all houses planned across the country during the period. 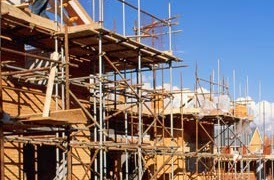 Introduced in March 2012, the National Planning Policy Framework (NPPF) requires local councils to demonstrate a five-year land supply for housing in an attempt to boost house building. Since the NPPF came into force only 17.6 per cent of local authorities have had their local plans approved by government. · The remaining 7.1 per cent had a local plan found sound or adopted following the publication of the draft NPPF. The research also showed that one in six local refusals were overturned by a planning inspector, even when a council was meeting its targets. Opposing the government’s efforts to increase the rate of house building, the CPRE has called for brownfield land for housing to be prioritised, and the removal of the automatic presumption for development where there is no five-year land supply. The CPRE also argues government should immediately stop demanding an extra 20 per cent housing requirement from councils already struggling to meet targets.